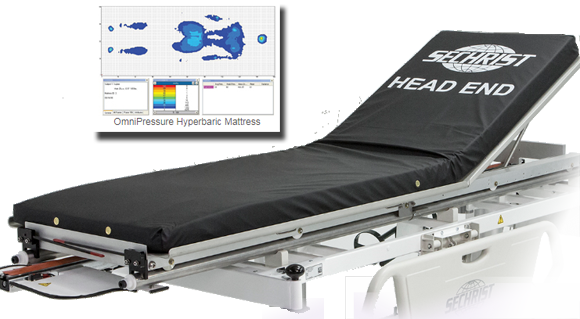 The Gas Selection Panel, when used in conjunction with the SECHRIST INDUSTRIES Monoplace Hyperbaric System, Model 2500B, 2800, and H Series will allow the chamber operator to select either oxygen or medical grade air to be supplied to the chamber. 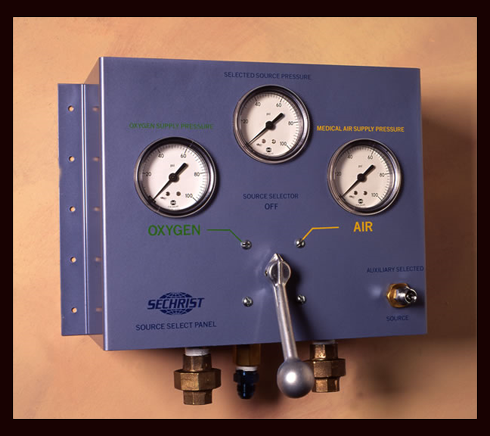 The panel incorporates pressure gauges for the oxygen, medical grade air and the selected gas source. The design of the gas selector valve utilizes a “shear type” sealing method, and the Valve vents to ambient. There by preventing interflow between gas supply systems. The panel is also provided with an extra selected gas outlet for ventilator operation.